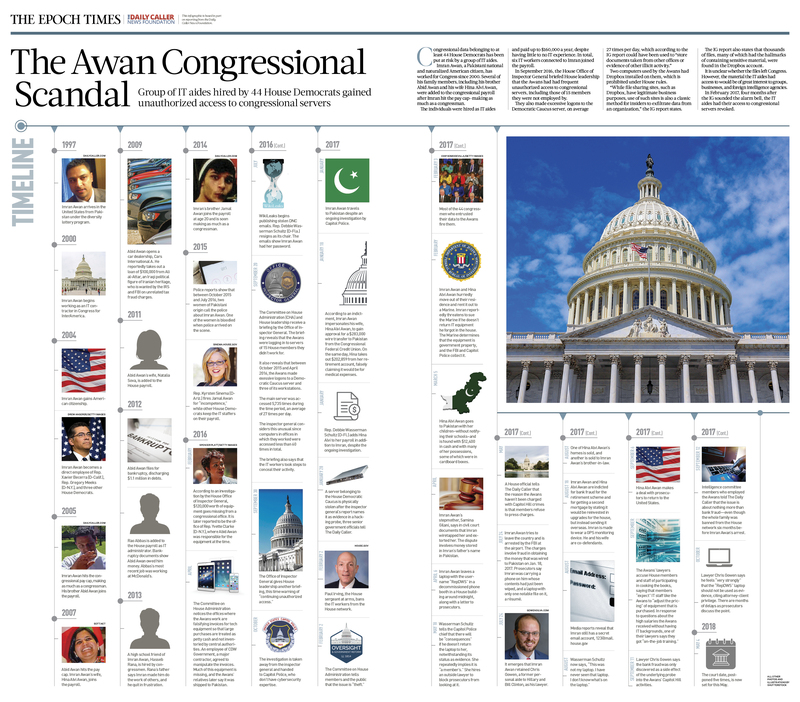 A key, if under-covered, aspect of the “Pakistani mystery man” story is that Imran Awan, the Pakistani-born IT aide of former DNC head Debbie Wasserman Schultz, took a laptop with username RepDWS after he was banned from the House computer network for “unauthorized access to data,” and then left it in a phone booth with a letter to prosecutors. Let that sink in. A Pakistani IT aide, who had just been fired by all his other employers for being a suspected hacker, left a laptop with the username RepDWS in a phone booth. The laptop was placed next to a letter to prosecutors. What it said is not publicly known. The cache of documents also included copies of Awan’s ID (which assured that police tied the laptop to a criminal suspect and seized it as evidence rather than returning it as lost property) and a note that said “attorney client privilege,” which put the laptop into legal limbo. 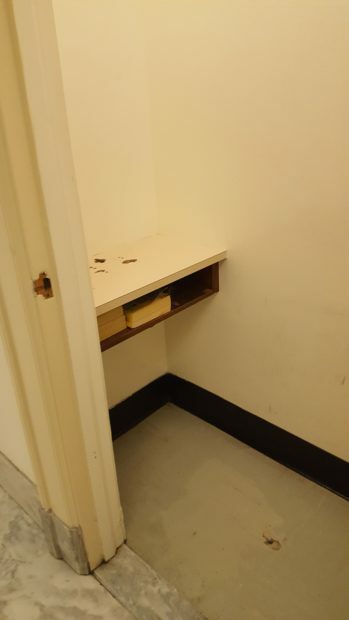 The phone booth is in the Rayburn House Office Building. Wasserman Schultz’s office is in Longworth, a different building. What happened next adds to the mystery. On May 17, 2017, Wasserman Schultz used a hearing on the Capitol Police’s budget to threaten Police Chief Matthew R. Verderosa with “consequences” if he didn’t return what she characterized as “a member’s equipment.” She repeatedly asked whether it was a member or a staffer who was under investigation, saying since it was a member’s equipment, police shouldn’t be able to take it unless the member was under investigation. A member of the Committee on Appropriations’ Legislative Branch Subcommittee, she has significant influence over the Capitol Police’s budget. “I’d like to know, sergeant, if you think that we should be looking at restructuring the way the board makes decisions so that we can establish a more direct line of accountability … At the end of the day, [the chief] doesn’t have a decision-making role,” Wasserman Shultz continued. In August, after Imran’s arrest at Dulles airport, Wasserman Schultz changed her tune, saying “This was not my laptop. I have never seen that laptop. I don’t know what’s on the laptop.” She said it was Imran’s laptop but purchased using taxpayer funds from her office. But by then, Imran had taken up the same quest. In September, prosecutors turned over a copy of the government laptop to Imran, even though he had been banned from the House network because he was viewed as a threat. In October, Imran’s attorney, Chris Gowen — a former aide to Hillary Clinton — said in court that Imran was invoking attorney-client privilege on the laptop and that they “feel very strongly” that the hard drive not be able to be used as evidence. The Awans and their associates collected more than $5 million in pay from congressional offices, often drawing chief-of-staff level pay though there is reason to believe many didn't even show up. The House's internal probe found they logged into servers they had no affiliation with, used members' usernames, covered their tracks, and persisted even after being fired. Imran, Abid and Jamal Awan and Hina Alvi, Natalia Sova, Rao Abbas, Hasseb Rana, and Muhammad Awan.